Home » Posts » Attentionology for K-5 Teachers » Plan a Bunny Bonanza Day! Print a poster that welcomes your class to the Bunny Bonanza. Bunnies aren’t just for certain holiday celebrations; these furry creatures are a symbol of springtime! Sweet little animals, like bunnies, attract kids’ attention any time of the year. Plan a Bunny Bonanza Day to get your students “hopping” to learn. Prepare a few teaching resources and for the plan, as follows, to make the most of your Bunny Bonanza. Bunny Bonanza Masters – Locate a puppet or stuffed animal bunny to use as a “Master of the Bunny Bonanza” on the designated day. 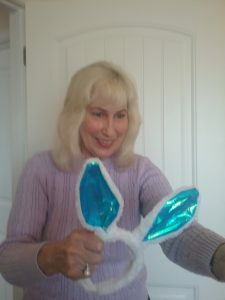 Buy or make a set of bunny ears for a kid to wear. Begin Bunny Bonanza Day by introducing your stuffed animal bunny holding the welcome poster in hand. Announce that the bunny is the Master of the Bunny Bonanza. the Co-Master (along with your stuffed animal bunny) of the Bonanza. Place the bunny ears on the child’s head and ask the class for a round of applause. Explain that the Co-Master is entitled to wear the bunny ears all day, and will be called on to help with special events during the Bunny Bonanza. Plan learning activities (Bunny Bonanza Special Events) to suit your curriculum. Invite kids to write little rhymes inside carrot shapes to give to bunny at your Bunny Bonanza. 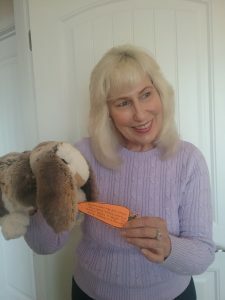 Give Bunny a Special Carrot – Invite students to join in a Spring Poetry Fling on Bunny Bonanza Day. Instruct your Co-Master to distribute copies printed on orange paper of a master that presents carrot shapes with space inside for kids to write little rhymes. Suggest that everyone “hop to it” to write carrot poems to give to bunny. Allow time for children to cut out the carrot shapes when their poems are complete. Ask volunteers to bring their carrot poems to bunny and read them aloud for everyone to enjoy. to write a little rhyme. 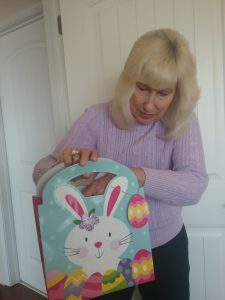 What’s in the Bunny Bag? – Encourage kids to take the Bunny Bonanza Science Challenge. Do a little research about bunnies as part of your planning for Bunny Bonanza Day. Write interesting science facts related to bunnies on slips of paper and place the slips in a decorative bag that features a bunny. Grab your stuffed animal bunny and the bag. Call on kids to come one at a time and reach in the bag for a slip. Ask each student to read the science fact they find aloud to the class. For an extra class challenge, write some of the science facts in the form of questions. Keep the answers with you to reveal if students get stumped. 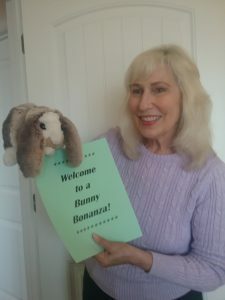 A Bonanza of Possibilities – Bunny Bonanza Day can be anything you want it to be. The theme is a proven attention-getter that delivers fun and function for everyone. Please send comments about how you use stuffed animals to help children learn. ‹ Celebrate Earth Day Every Day!